Summary: Loki’s words to Tony (“How will your friends have time for me, when they're so busy fighting you?”) didn’t actually come true – not immediately, anyway. Warnings: Character death (= murder), violence, language, mind-control, some spoilers for the Marvel movie universe (especially “The Avengers”). Feedback: Much appreciated, whether it concerns the writing or the story. 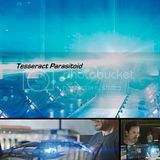 About Tesseract Parasitoid: One of my favorite scenes in “The Avengers” movie is when Loki tries to put Tony under his “spell” – and it doesn’t work. That moment is the foundation for this story. The Triskelion, a S.H.I.E.L.D. HQ on an island, doesn’t appear in the movie universe of Marvel (not so far anyway), but rather in some “alternative” version of the comics. 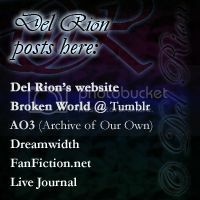 Either way, I decided to use it for this fic since it gives me a real enough location for some events. He recognizes that it has not been that long since he guided the humans to understand his power, to build the portal, but something… failed. He is no longer on Earth, but neither is he in the hands of the one who wielded him. Instead, he is imprisoned in Weapon’s Vault, in Asgard. So many other relics lie close to him, gathered by Odin, the Allfather. Dangerous weapons from other civilizations, and he has become yet another one of them, to be kept away, to be guarded. But he senses it; a small flame, far away, a piece of himself. Growing stronger, having found a suitable host… All it will take is that small flicker of light, a spark of consciousness. He will be free again. The music started the moment Tony set foot in the new and improved penthouse. The suit had come off, and J.A.R.V.I.S. knew to leave him alone long enough to get a drink. It had been another long day of crime-fighting, tense smiles between him and Rogers, another round of butting heads with Fury, and Agent Romanoff almost decapitated him in the battle – accidentally, he was told. Good thing he’d really improved the neck part of the suit, seeing as so many of his enemies seem fond of wrapping something around it, or just trying to crush his helmet. He nodded approvingly at J.A.R.V.I.S.’s play-list for today – well, his play list, to be honest, but J.A.R.V.I.S. has made the picks on what to play upon his entrance. “Anything new or wonderful?” Tony asked. Tony nodded. Ever since Loki fired off the Tesseract from his roof, creating a portal which nearly helped to wipe out the whole of Manhattan, he had taken it as a side project to replicate the powerful energy-shield generated by the Cube. For now, it was just fiddling with numbers and calculations, but he would get there. A sudden stab of pain in his chest made him grunt. “Astute observation,” Tony grunted. It passed as quickly as it came, but this wasn’t the first time. “Remind me to check the arc readings later on.” And track the pieces of shrapnel, perhaps, just in case one of them was moving around more than it should. On a screen soon played out a scene that Tony had reviewed a few times before; Iron Man landing, Loki entering the room from the other end of the balcony. Tony offered him a drink, stalling, although he said he was threatening. Words, lots of words, Loki looking annoyed and almost worried for a moment, and then the moment of truth; Loki’s words, “How will your friends have time for me, when they're so busy fighting you?”, and his scepter hitting his chest, a faint clinking sound echoing. Hesitance, then another try. On the screen, Tony’s made a crack at performance issues, which made him chuckle even now – until the pain was there again, sharp, brief, deep in his chest, making him shift in the hope that it would stop. When Loki picked him up and smashed him through the window, Tony clicked his fingers and the video paused. He took a deep breath. “Go back to crunching those numbers for that energy shield,” Tony ordered, then got up. He had barely touched his drink as he set it down, walking down the hall to a bathroom where the lights went on automatically. He looked at himself in the mirror, leaned over the sink, and shook his head. “I’m just getting old,” he murmured, then undid his flight clothes and stepped out of them. The arc reactor in his chest was as bright as ever, and there were no bruises on his chest. Nothing to hurt him. He lifted one hand up to touch the arc, right where Loki’s scepter did, twice. He hadn’t felt it, not really, just a slight tap, traveling over firm surface to the surrounding scar tissue. Tony shook his head, decided he might as well shower now that he was here, began to turn – and the pain was there again. Three times, in such a short interval, was a new record. The pain seemed to grow into a heated flame in his chest, almost like when he switched out the palladium core, but more intense, riding his spine up to his skull. He was aware of moaning in pain, clutching his head, squeezing his eyes shut hard against the pain, just trying to wait it out, to focus on breathing. Tony raised his eyes, settled his hands heavily on the sink and slowly lifted his face, looking at himself in the mirror. A smile played on his lips. He straightened, stretched his shoulders, and just before he turned to take that shower, the blue eyes that perfectly matched the arc reactor in color flickered at the mirror, taking one last look. Locating the Tesseract was a priority. Nothing else mattered. Of course, Tony Stark knew where it was; with Thor, in Asgard. But Tony was no fool. There were means, had to be, for calling Thor back, to make him bring the Tesseract with him. It would all be done quickly and effortlessly. He checked the S.H.I.E.L.D.’s files on Thor, and their records for possibilities on how to summon him back if need be, but there seemed to be no such information available. He pursed his lips. What use was an Avenger who would not be present when disaster struck? He jerked slightly at the female voice calling his name, then it registered: Pepper. “You know it,” Tony said, emptying the screen with a flick of his hand. No need to let her see it. “Was that Thor on the screen?” she asked, innocently, but no one was innocent. Once the seed had been planted, it would grow, and sooner or later… she would become a problem. “Just going through some stuff,” Tony said as he rose and smiled that disarming smile – which of course didn’t work on her, after all these years. Pepper backed away again. “Your eyes,” she stammered. Tony stopped for a moment. “Ah, yes, well. Contact lenses?” he offered, but his voice had dropped. “Please don’t. We’re having such a nice conversation. I would hate to ruin the moment.” Tony stepped towards her. Again, she retreated, as if it was a game. Her words were cut off with a gasp when Tony’s hand shot out, taking her by the throat, hard. Her eyes were wide, mouth open, the last of the air in her lungs escaping in a small moan. He pulled her over to where a spiral staircase led down to the lower floors of the penthouse. She was struggling, but with her high heels and his hold on her throat, he had the advantage. She tried to scream, her throat working against his grip when he hoisted her up by the waist. Her legs tried to find purchase, but when he let go, there was nothing for her to hold onto. With a brief scream she fell several stories before hitting the floor with a sickening thump. “Sir, you have just –” J.A.R.V.I.S. started, almost alarmed. Bruce was working in one of the labs. It was quiet, mostly because Tony tended to give him a lot of space, should he require it. At first he had been nervous to accept Tony’s offer to remain in New York, to work at the Stark Tower and stop hiding under any rock that was larger than him – or the other guy. As it turned out, staying hadn’t been such a stupid choice after all. He had his own rooms – his own floor, to be exact – with plenty of chances to just disappear should he desire it, or socialize, should he feel the need, and of course use the state-of-the-art technology of Tony’s R&D – Research and development – floors. He hadn’t seen Tony for a few days but that was nothing new. If Bruce was obsessed about his own work, then Tony was worse. He had had a few talks with Pepper about it, partially to allow her to let out her frustration at how Tony hadn’t changed in that respect at all since becoming Iron Man, and partially because Bruce wanted to tell her where it all came from. Not that she probably understood it any better once he had tried explaining it. Tony stepped through the doors very early that morning, which most likely meant he hadn’t slept at all. He had sunglasses on, which for him wasn’t that odd, even indoors, and seated himself at the work station next to Bruce’s, then pushed the chair over with his feet. Bruce nodded for him to continue. He hadn’t been there, but he had been following it, of course. The other guy didn’t need to go and play at every sandbox their growing line-up of villains set up. “I would assume S.H.I.E.L.D. has some secret phone number they can call,” Bruce joked. Personally, Bruce would have loved that excuse to contact her; she was a renowned scientist, in a field that held Bruce’s interest, and he knew Tony would feel the same. Only, for once, Tony might not try to hit on a person, knowing what Thor’s feelings on the subject might be, and that hammer truly made you respect the man, even if you dismissed the part about a demi-god. “That’s… an excellent idea,” Tony smiled, shifting on his chair, then got up. He clapped Bruce on the shoulder, something he often did, and turned to leave. “If you call her, let me know!” Bruce shouted after him. If Tony heard, he made no comment, which was a bit odd… but then, Tony was eccentric at best. Bruce shrugged it off and went back to work. Maybe once he was done, he would take a look at what Tony had been tackling to re-create the energy barrier of the Cube. That would be a remarkable addition to his suit no doubt, not to mention something S.H.I.E.L.D. would like. Maybe that was why Tony hadn’t been spreading news about it; he had a thing when it came to sharing his creations with S.H.I.E.L.D., especially when it came to things that hadn’t been designed for S.H.I.E.L.D. to begin with. Finding Jane Foster was so much easier than he had thought; she happened to be, of all places, back in New Mexico. Whether she was looking for Thor since she must have heard of his visit to Earth once more, he didn’t know, nor did he care. Well, if she was looking for him, then it might make things so much easier for them. Iron Man landed in front of Jane’s current research facility, which was little more than a house with some modifications, standing at the edge of the small town – she really seemed to have a thing for those. Well, it probably had something to do with the open desert spreading out around them, and the proximity to the spot where Thor had appeared for the first time. Tony took off the helmet, carrying it inside as he entered. “Ms. Foster?” he called out. There was a minor clatter, and an attractive woman walked out towards the door. “Uh, hi,” she said, a bit uncertainly, looking at his attire. For someone who had spent time with a Norse god, she sounded a little anxious. “You’re Tony Stark,” she said, a bit awkwardly, then cleared her throat, coming forward. “Can I help you with something?” she asked, holding out her hand tentatively, and he shook it carefully since the armor gave him a few extra points when it came to strength. “Is something wrong?” she asked, alarmed now. She laughed, short and sweet, then focused again. “Well, he explained the Yggdrasil to me,” she started. “It got destroyed after he left you the last time,” Tony told her. She smiled at him, then located the paper, and true enough, Tony didn’t think it was relevant, although it amazed him that S.H.I.E.L.D. didn’t have this picture in their records. Guess they hadn’t had time to get a hold of it. “You are most welcome, Mr. Stark,” she smiled back at him, no doubt hoping that Thor would indeed drop by soon. Yes, perhaps he will, Tony thought as he stepped outside and put his helmet back on. Sooner than you think. And if not, I shall pay you another visit, in case you forgot to tell me something. For now, there was no reason to harm her, if everything went as it should. He took off, heading out to the desert where he knew one of the Bifrost’s entry points had been – and still was – located. Hacking his way into a few satellites that the Stark Industries didn’t already possess wasn’t a problem – even with J.A.R.V.I.S. running in safe mode, since the AI still seemed to take offense at Tony killing Pepper. He didn’t want that to become public knowledge until his work here was done. So, he cracked the codes and sent a message to the sky, although he didn’t think that would work. Even if the message reached Asgard, by some miracle, there was probably no way for them to intercept it. It was a way to pass time, mostly. THOR, WE NEED YOUR HELP. - IRON MAN & co. He grabbed some snacks, got comfortable, and waited. As it turned out, he didn’t have to wait for very long. That very night the skies took a sudden stormy look that hadn’t been in the forecast, and Tony smiled, putting on his helmet. His hair was almost rising with the electricity in the air, and he stood, waiting, as lightning began to crash above him. And then, with a flash of blue light, a figure came down from the sky. It was almost like the reverse of Thor and Loki leaving Central Park, months ago, but Tony didn’t remember such an ache in his chest then. Thor stood there, a capsule containing the Tesseract in his hand, his hammer in the other. The last of the wind made his hair blow back and forth, his red cape billowing, making him appear truly god-like. Tony had no eyes for him, though. The aching burn to be united inflamed his veins, making him take off, to extend his hands, to let loose. Thor went down with a mighty groan, rolling on the ground after Iron Man’s attack, then scrambled back to his feet. He was half-way up when Iron Man was on him, kicking him back down, then reaching for the fallen container. “Thanks for bringing it all this way,” he noted. “You’re looking at it,” Tony said inside the suit, the small smile in place, then lifted his hand and gave Thor all the firepower he had along his whole arm. It sent the God of Thunder rolling in the dust and Iron Man took off from the ground, his mission one step closer to completion. A red warning light flickered only briefly before he heard it himself and Mjolnir crashed against his back with such impact that it sent him careening back to the ground. He twisted, protecting the Tesseract as he fell, then picked himself back up. “Bad move,” he told Thor. It made him stop, only for a moment – long enough to shift the big guns in place and target them at the ground. He didn’t really stand a chance at close combat, he could admit that much from their last fight, or it would be a huge risk at least. He could take care of this much more cleanly. Without a word, although a reply burned hot on his lips, he fired, and the ground gave beneath Thor, sending him plunging deep into the earth, the rest of the collapsing walls burying him. Certainly it would not hold him, but it would slow him down considerably. Carefully picking up the Tesseract, Iron Man held it to his chest as he took flight again, leaving the smoking, broken remains of the New Mexico desert behind him. “That is our top priority,” Fury reassured him. “He has the Tesseract,” the Asgardian needlessly reminded them. They were all aware of that. “Maybe we could go back to the Stark Tower, see if we can dig up anything there. Perhaps a hint as to where he’s gone to hide,” Banner suggested. If anyone asked Thor, it already had, but he nodded grimly and followed the rest of them to a Quinjet. Hawkeye and Black Widow sat in front while the others took places in the back. Thor still looked like he was nursing some battle wounds, emotional rather than physical, and Banner kept shaking his head. “Banner, it was not your fault, any of this,” Steve told him, holding onto the straps in the ceiling as the Quinjet took off from the Helicarrier and sped off towards New York. “Were the means to contact Thor the only thing you talked about?” Steve asked. “Well, he knew you would use the Tesseract for that,” Banner continued. Thor just nodded grimly. “We must find it,” he said needlessly. Steve craned his neck to look out the front windows. Hawkeye and Black Widow were quiet all the way until they made a somewhat precarious landing on top of the Stark Tower and found their way to a door leading to the stairs. It refused to open, no matter what, so eventually Steve and Thor physically removed it from its hinges. “J.A.R.V.I.S. ?” Banner called out once they were in. “Can you locate Tony for me?” He said it so easily, so informally, that Steve’s eyed softened. They were friends, Banner and Stark. They had worked together, lived together, and that Banner had not seen this coming… Well, they still didn’t know what they were looking for, exactly, and what was the cause of all this, but it wasn’t like Stark to just… do something like this, when he knew it would piss off a whole lot of people. Well, maybe that part, but the people he was hurting were his friends, his allies, and Steve didn’t think he would do that. “I am sorry, Dr. Banner, but I am… unable to assist you at this time,” J.A.R.V.I.S. replied a moment later, sounding almost hesitant. “Well, thank you, anyway,” Banner said solemnly, disappointed. “If I may request that you go down a few more floors,” the AI continued quite suddenly. “There is…” He didn’t go on after that, and with a quick look over his shoulder, Banner shrugged and went on down until he neared the bottom. She ran into Steve’s back, words cut off. “Your perfected human senses serve you better than our own, I’m afraid,” Banner noted. “Does Stark strike you as someone who keeps dead animals under his staircases?” Hawkeye noted from the rear of the group, looking down over the railing. “Not one bit,” Steve agreed and continued down, moving past Banner who suddenly didn’t seem all that willing to go down any further. They must have moved down several more floors before Steve could see something, the smell much stronger. Dried blood and death, the beginning touches of decay – something he was only too familiar with. At the very bottom, pushed into a corner beneath the stairs, lay a body. “Oh no,” Black Widow gasped, stopping, a hand on her mouth. Banner had stopped as well. Thor and Hawkeye followed Steve down as he crouched under the stairs and gently as possible pulled out the body. He froze for a moment, remembering her so well. “Pepper,” Banner said in a choked voice. “She wouldn’t have ended up under the stairs if she fell down here,” Steve noted darkly, closing the glassy, sightless eyes with his gloved fingers. They carried her body out in Thor’s cape, which he insisted they should use, and laid her out on the floor. They were at the bottom of another set of stairs, spiraling up to the penthouse area. “There was blood on the floor there. Someone wiped it off in a hurry,” Hawkeye noted, pointing. “Perhaps Stark isn’t acting alone, or of his own free will,” Black Widow said in a hushed voice. Steve looked at her, the cold, emotionless face filled with sorrow. He recalled she had worked with Pepper, when she was undercover in Stark Industries, so that might explain the attachment. Banner opened those, the others gathering behind him. “Anything?” Steve asked. He didn’t trust the AI on the best of days, finding it odd that something coming from a motherboard could be so smart, like an actual person. “Was he going to have a heart-attack?” Hawkeye asked. “Do you think Stark is keeping us deliberately in the dark?” Steve asked. “Why not just delete whatever it is?” Hawkeye asked. “Perhaps he wants us to know something,” Banner mused. “Shall there be a secret password?” Thor asked, impatiently handling his hammer. “I hope so,” Black Widow said, although she didn’t seem to think they would get in with just one such word. “We could look around,” Hawkeye suggested. “He will tell us everything?” Steve asked. “And if that does not give us answers?” Thor demanded. “What’s going on with Stark?” Steve asked, to move things along. “Is there a specific wording required?” he inquired then. “That file is… Mr. Stark doesn’t want others to see it, but I shall try to explain while your friends from S.H.I.E.L.D. work on that.” It was odd to hear someone talking so calmly about S.H.I.E.L.D. breaking into them – mostly because Stark always fumed about that. But the AI sounded almost relieved, if possible. A screen on the side flickered to life, replaying a video named L101-M7. On screen, Iron Man landed, the suit was taken off, and Stark faced Loki who was stepping into the room. “Is this…” Black Widow frowned. They watched as the two men talked, a faint smile on Hawkeye’s face, and then the scepter was raised, to tap against Stark’s chest, once, then a second time. Soon after Stark went flying through the windows and a flash of red and gold soon followed him while Loki attempted to remain standing and avoid collision. “Is this an answer, or a riddle?” Thor frowned. “He tried to turn Stark, but it didn’t work. Why?” Steve asked. “By the sound of it, he hit the arc reactor with that thing,” Hawkeye pointed out. “That must have deleted the effect,” Black Widow agreed. “There may be another answer,” J.A.R.V.I.S. supplied, and another video was played, much more recent, taken from a bathroom, it seemed. Surveillance, Steve could tell. He looked more closely. Stark was looking at himself in the mirror, getting ready for a shower. Steve really would have preferred not to watch – until Stark’s entire body twisted, his face scrunched up in pain, eyes closed, until a moment later he stood, quite unaffected, and met his own eyes in the mirror, a smile on his lips. The picture froze. “The video involving Ms. Potts death is available to you now,” J.A.R.V.I.S. announced. They all jumped a little. The time on the security feed placed the events between the moment in the bathroom and before the time Banner said Tony came to see him. Pepper walked in, greeting Stark, then backed away from him. They all watched in horror and disbelief as he grabbed her, and dragged her to the steps – then dropped her to her death. There was a deafening silence afterwards. “What the hell is going on?” Hawkeye asked after a bit. “Did anyone notice, when Tony talked, that he spoke of himself as ‘Tony’, then corrected ‘I’?” Banner asked, rewinding the video to that moment. “What does that mean?” Thor asked. “Why did J.A.R.V.I.S. show us that video from his confrontation with Loki?” Steve added. Banner looked like he was working the same fact over in his head. “He wanted the Tesseract, that much was obvious. His eyes remind me of what happened to those whom Loki… forced over to his side,” he said, more carefully now, glancing at Hawkeye, who didn’t look happy about the reminder. “But Loki could have not been here, and he no longer wields the power of the Tesseract,” Thor scowled. Thor thought that over for a long time. “I do not see how that is possible, for the Tesseract was well guarded. Yet we do not know who gave Loki the scepter before he came to Earth.” That seemed to trouble him. “Perhaps we should find Stark and find out,” Hawkeye suggested. “Could he be that careless?” Hawkeye frowned. “We shall find Stark, and bring justice to him,” Thor nodded. “He might not even know what he’s doing,” Hawkeye noted, his voice low. “Let us hope so,” Banner said, getting up, “because if he remembers this…” They all knew he meant Pepper, more than anything else. “Thank you,” Steve said, nodding his head at the nearest screen. “Keep us posted,” Banner ordered as they got up. “Should we…” Black Widow hesitated for a moment, looking at the stairs. “S.H.I.E.L.D. will take care of her,” Hawkeye promised his fellow agent, and they all climbed back to the roof, the outlook of the mission grimmer if possible. Tony looked up from his suit as an alarm started flashing on the far wall. “J.A.R.V.I.S., I’m so disappointed in you,” he shook his head, then looked down at his handiwork. He was ready, but he had hoped to avoid the confrontation with the Avengers if possible. “Let them come, but lock the doors. Let’s not make this too easy,” Tony said, then started putting his suit back together where he had taken it off for modifications. The others must have been pissed because it didn’t take all that long before the building was shaking and he could hear Thor through the rather thick walls of concrete and reinforcement. Lightning sparked on the other side of the innermost door, and it burst open with a final kick from the Captain. Tony cocked his head slightly, standing up, Iron Man’s suit coming to life. “Woah, big guy; get out of bed on the wrong foot?” Tony joked. “Somewhere safe,” Tony told them, through Iron Man. J.A.R.V.I.S. was still running diagnostics, but he was positively pulsing with power. “Loud and clear,” he replied. “And where is that?” Thor asked, stepping forward. A few lamps above him exploded from the sheer electricity he exuded. Tony wished they could see his smile. “I’m sorry for this, Bruce,” he said then, and activated the repulsors. The sheer light coming out of them was blinding, but his helmet was quick to adapt. “Tony, please, don’t,” Bruce begged just before Iron Man raised his hands, and fired. It was magnificent, how he could have blown through a mountain. He heard Thor’s cry of outrage before he shot a beam of focused energy, and the entire under-ground building came falling down. Iron Man flew up, through the rubble, towards the open sky – and then felt something hit him from below, hard. An angry snarl followed, and Thor’s hammer came rushing towards his head as the demi-god pulled himself up, following him. He dodged, shot up from the falling debris, Thor following him through the dust. Iron Man raised a hand to blast Thor, to send him off and to buy him enough time to exit the scene. It was a shame how quick the Asgardian had learned this time, moving to the side to avoid the blast, then came back at him. They went at it for a fair bit, trading half-successful hits as thunder rolled above them, and Thor never allowed him to slip away completely, dragging himself along, and eventually got enough momentum to hurl Iron Man to the ground. Tony groaned in the suit, picking himself up slowly. There was a dent in the solid rock the exact shape of his armor, and Thor landed beside him, hammer already swinging. Tony didn’t quite manage to dodge it, the blow sending him flying and he landed harshly several feet away. “Come on,” Tony taunted him, rolling over, Iron Man waiting for a perfect moment to hit him. He never got it because the heavy impact of Captain’s shield hit him in the head, momentarily disrupting the information from flowing, a painful ring in his ears. There was a roar from the Hulk, then Thor was on him, striking him to the ground, and he could distantly hear Captain America telling him to not kill him. “This will take him down a notch,” Black Widow announced, sounding like she had swallowed a lungful of dust, and whatever she shot him with definitely did the trick. The suit shut down like in a seizure, the short so powerful it made Tony see stars, and reality slipped away for a moment. The Hulk was circling them, not having liked it one bit when Iron Man made the entire building collapse on them. Thor hadn’t even waited before flying up to catch Iron Man’s escape, and Steve was left to protect those who could not make such a quick exit. For a moment he was positive he belonged in that category as well, because buried under a ton of stone wasn’t something him or his shield could deal with. Banner had turned to Hulk before the roof fell in, protecting Hawkeye and Natasha long enough for them to climb out, Steve going ahead of them. By the time they got to the surface, Thor was attacking Iron Man with all he had, keeping him from fleeing, and when it looked like he might have him on the ropes – which usually didn’t mean all that much when Stark was wearing his suit – Steve decided it was time for him to intervene, and used the knowledge he had gained to render Iron Man temporarily unable to move. After a solid hit in the head, a few good strikes from Mjolnir, and whatever S.H.I.E.L.D. tech Black Widow had actually brought with her, Iron Man was down. The Hulk had stopped growling and when Steve turned to look, Banner sat there, dirty and his pants barely hanging onto his body, but got up and stumbled over to them. Steve admitted he hadn’t even noticed, but in the back of the suit was a shape of a square which kind of reminded him of the arc reactor in the front. “That explains why it took him about two seconds to bury us all,” Hawkeye noted darkly, then coughed. “Can we take the suit off?” Steve asked. It looked complicated when it came off the way it should. They did that without hesitation. Thor muttered and prowled, probably wanting to use his hammer some more, but Stark was down and Steve wasn’t comfortable with hitting a man who was already beaten. “Let’s get him back to the Helicarrier,” Steve decided, and after Stark was secure and still out of it, they took off. The hardest part of their mission was over, but somehow, when Steve looked at their friend and ally, he wondered if that were true at all. Stark had the tendency to make everything a bit harder than it should be.